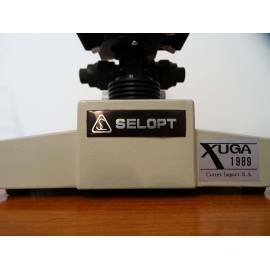 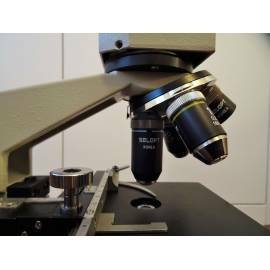 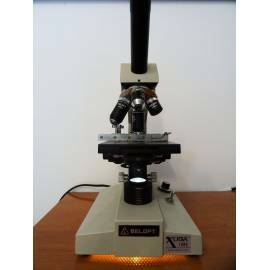 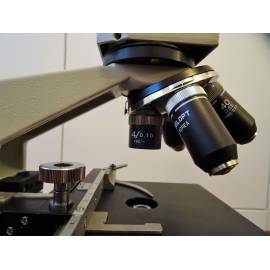 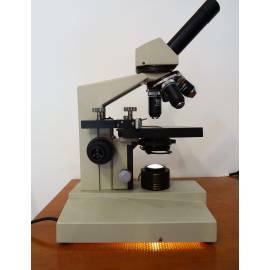 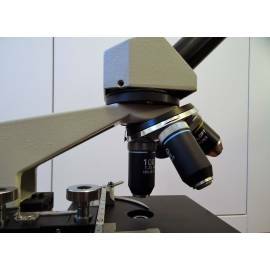 Optical microscope, monocular biological Selop Xuga.4 Objectives plan-achromatic Selop Korea 4x (0,10 oil 160/-),10x (0.25 in oil, 160/-),40x (0.65 and oil, 160/0,17) 100x (to 1.25 oil 160/0,17). 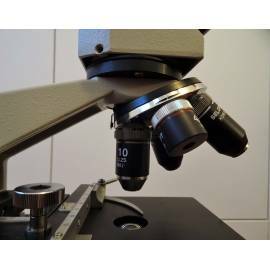 Focus. 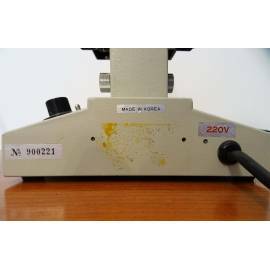 Screw macro and micrometer. 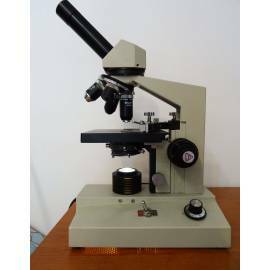 Plaitna rectangular. 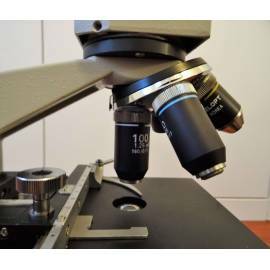 Diaphragm and condenser.